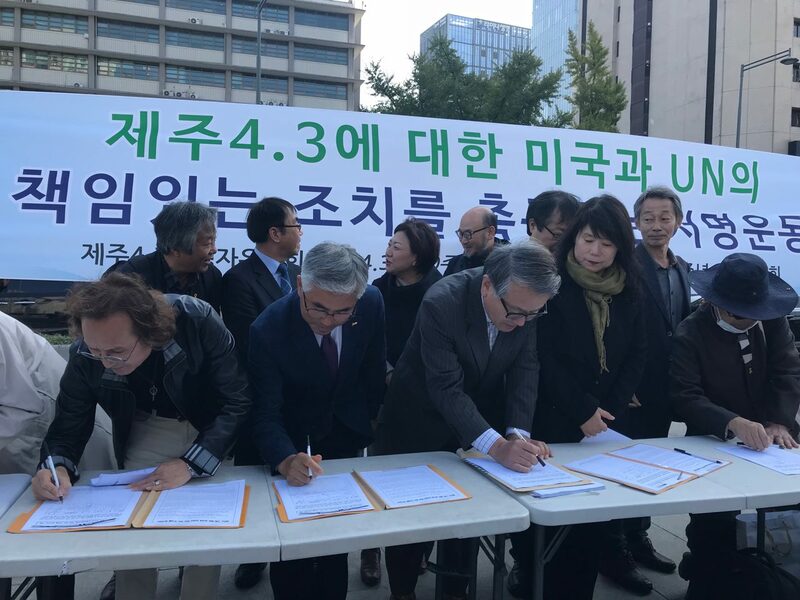 April 3 massacre civic groups embarked on a 100,000-signature campaign, demanding an apology from the U.S.A foreign scholar believes that a frank acknowledgment of the past, from all sides should be the precondition to move next. 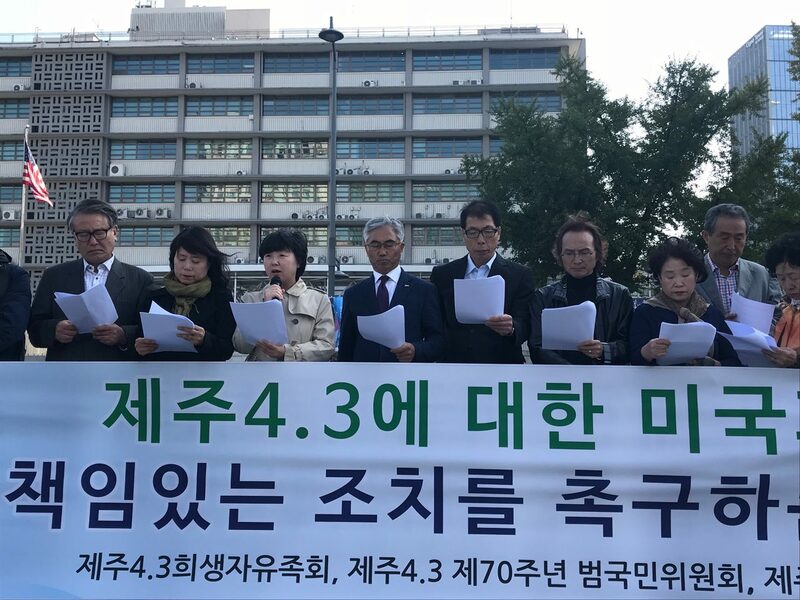 Civic groups representing the history of Jeju April 3 massacre are demanding an official US apology and responsible actions for the massacre which occurred when the island was under the control of the U.S. military. This massacre claimed the lives of an estimated 30,000 Jeju islanders, nearly 10 percent of the island’s population. The Jeju April 3 Massacre, which took place between 1947 and 1954, is one of the worst atrocities to have taken place in Korea. The Jeju Massacre Bereaved Families’ Association, the Jeju Chapter of the Jeju Massacre 70th Anniversary Project Committee, and the Pan-National Committee for the 70th Anniversary of Jeju Massacre held a press conference on Oct. 17 near the U.S embassy, Seoul. In the conference, the groups also embarked on a 100,000-signature campaign and national-level efforts to ask the U.S. government to investigate its involvement and take responsible actions. The civic groups are petitioning to gather 100,000 signatures through online and offline portals for the U.S. and UN to form an investigative body to investigate the truth behind the massacre and come up with a guideline on appropriate measures to aid and compensate the victims. The initial round of signature collection will continue through Mar. 31, 2018, followed by a second round from Apr. 1 to Oct. 31. Oct. 17 marks the day when Korean Maj. Song Yo-han, who stood guard over Jeju Island under the command of the US military, issued a decree to shoot down anyone who walked within five kilometers from the coastline. This later led to a large-scale massacre. “Nearly 70 years have passed since the Jeju massacre took place. However, the US government has said nothing about it. More than 30,000 Jeju residents (many, innocent civilians) were wrongly killed at a time when the US military government was in power and a group of US military advisors exercised operational control authority over the South Korean military,” the groups said in the conference. Marking the 70th anniversary next year, the groups plan to conduct the campaign along with Avaaz, a global web movement to bring people-powered politics to decision-making everywhere. They pointed to the example of Colonel Rothwell H. Brown, a top colonel based in Jeju in 1948 who said, “I am not interested in the cause of the uprising. My mission is to crack down only." The press conference statement which the groups released includes ‘acknowledgement of killings of innocent civilians by the U.S. military and an official apology for it, joint-investigation into the real roles of U.S. military, U.S military advisors and the Korean government, fact-finding mission of UN, and its corresponding responsible actions for U.S. and Korea. After the press conference, the groups delivered the statement to the U.S embassy in Seoul. Until now, some scholars, both domestic and international, have shed light on U.S. involvement in the Jeju massacre but this is the first time they have made demands for an official apology from the U.S. government and its corresponding responsible actions, driven by the national-level large-scale campaign. “I continue to be ashamed of U.S. brutality,” said the U.S. scholar. 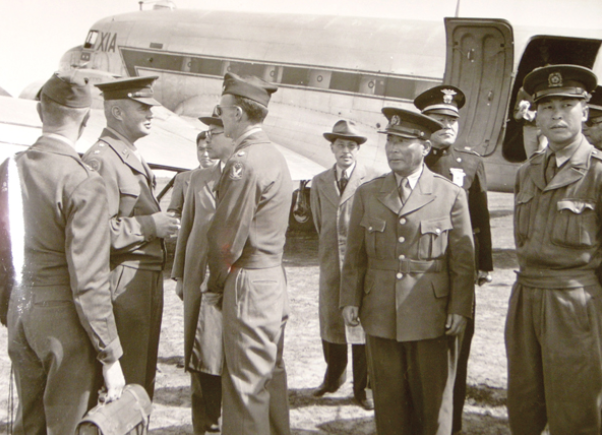 George Katsiaficas, a former professor of Humanities and Social Science at Wentworth Institute of Technology, Boston, believes that it was U.S. strategic interests, rather than a definleft-wing insurgency, that were the primary drivers behind the eventual murder of up to a tenth of the Jeju population. “The massacre could only have been carried out with the active knowledge and collaboration of the U.S. military, who maintained direct control over military operations south of the 38th parallel,” Katsiaficas said in an interview with the Jeju Weekly in 2010. “Even after control had been officially relinquished, U.S. control was the reality on the ground,” Katsiaficas added. He believes that the Jeju Massacre should be viewed as part of a wider U.S. strategic aim to consolidate power in the region and to build military bases against perceived threats from Russia and China. “In 1945, even the most cynical New Yorker would not have entertained the idea that the American military would be responsible for the massacre of tens of thousands of innocent islanders, after the end of WWII. I continue to be ashamed of U.S. brutality,” Katsiaficas said. Katsiaficas believes all sides must work together to build a peaceful future for the island and the region as a whole. “There is a strong movement for peace on Jeju Island and it shows we must look beyond blame, to reconciliation. However, this is only possible if there is a frank acknowledgment of the past, from all sides,” he concluded. He believes that there are still so many things to be solved; to look into the truth of the Massacre, compensate casualties and bereaved families, and restore the honor of the 4.3 victims. “Uncovering the truth behind the Jeju Massacre is not even halfway done,” said Park, adding that this should be a constant work for many more years to come with all sides together.